Spring Has Sprung – Be Good to Your Skin! Our skin is beginning to wake up to the increase in sunlight, getting a little less dry as the weather warms up. We need to wake up to the need for SUNSCREEN, even on gloomy days! I love PCA Weightless Protection and Elta MD as well. I do sell PCA here, but online I love Lovelyskin.com which offers great prices and incentives! This is still a good time to get in a chemical peel or microdermabrasion. Get rid of the tough layer of dry winter skin and last summer’s sun damage. It is also a good time to try Dermatude or Dermapen Collagen Induction Therapy. This is a technique called Micro-Needling as well. It isn’t as scary as it sounds. The machines cause tiny micro perforations into the skin that stimulate it to repair and form more collagen and elastin, thus more firmness. You can look up either of these machines on YouTube and see some real results. There is very little, if any, downtime. Usually just a little redness that doesn’t last more than a day. I have one client who likens the results to a Fraxel type treatment. Personally, I love it and do it on myself! 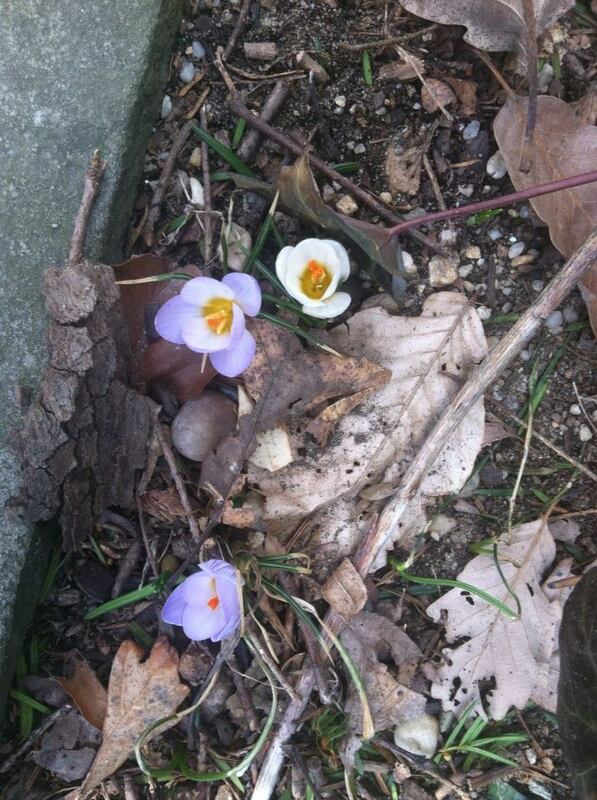 Here’s to the snow crocuses and dandelions popping up everywhere! And to all of us for getting through this tough winter. It’s time to treat yourself! This entry was posted in Spring Skin and tagged Collagen Induction Therapy, micro-needling, spring skincare, sunscreen. Bookmark the permalink.